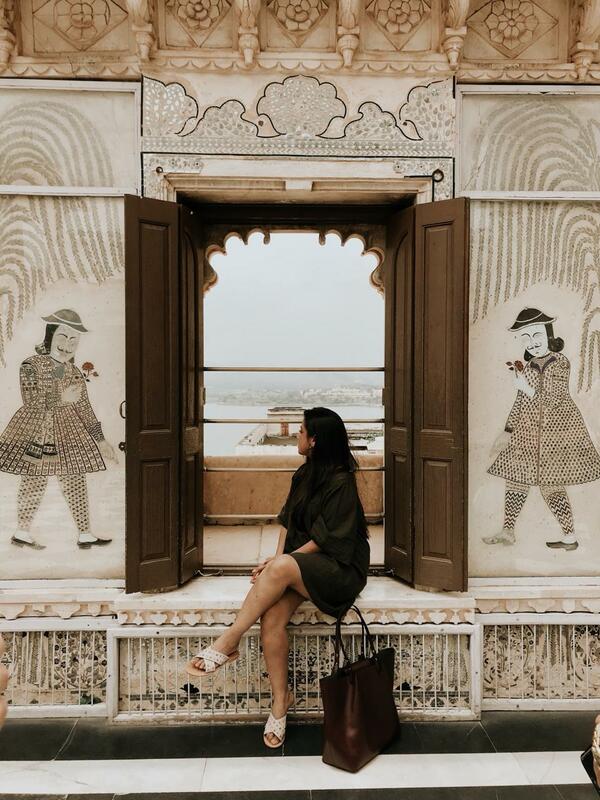 Udaipur has always been on the top of my travel bucket list. There's just something about a place with so much historical evidence that pulls me towards it. It just feels like I am living in some pre historic era with of course the facilities of Wifi and Cabs. To me, visiting a new place has a lot to do with its architecture, the places we can eat and how affordable it can be. So we contemplated on a couple of options before settling on flying to Udaipur. I'm sure you can find out options with which you're more comfortable with if flying isn't what you are looking for. Also, if you are looking to fly, I suggest comparing prices on a couple of different websites. I always check MakeMyTrip, Akbar Travels and the Airlines own websites. When you're working with a budget even a difference of about 1K is worth it. We were flying a low cost airline and they didn't provide us with an option for the inclusive meals so it is good to carry a little bit of food with you. 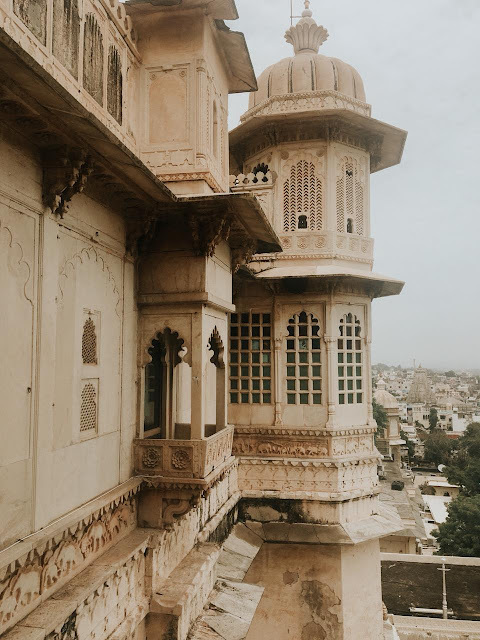 Since Udaipur has a place with a lot of tourist attractions, we had decided that it just makes sense to book a really nice place that was inexpensive at the same time. Also, because it was two of us, all the expenses were going to get divided by two and hence we set our budget a little higher than we usually would. We scrolled through a lot of options and finally managed to find one that fit well within our budget and booked Hotel Raj Kuber for the stay. We were really pleased with the way our room turned out. We had a fantastic view overlooking the beautiful city from both the windows. So the places we saw our options were from Trivago and directly from the hotel's website. And because we found out that Booking.com was offering the best deal through Trivago, inclusive of breakfast, we went ahead with that option. The stay was excellent, however the breakfast options could be a bit better. Me and Tanisha are both huge foodies. So finding places that satisfy our taste buds is very important to us. We spent endless hours on Zomato trying to find places that offer a variety of cuisines. Sounds really fancy right? Well, truth be told, we ended up going to not such different places. Although the food that we had was really good. Some of the places we ate were: Royal Cuisine at Hotel Chunda Palace, 1559 AD, Vantage by Panna Villas, Darikhanna Restaurant at Jag Mandir, Jhumar Restaurant, Oladar Village Cafe and had fantastic rajasthani dessert at JBMB (a local point). The food menu for the restaurant at Jag Mandir were surprisingly limited and expensive. So you might want to just grab a drink there and eat somewhere else maybe. There's a variety of Vegetarian and Non Vegetarian options at all of these places. There are various other options for a proper fine dining experience where you would have to book a table well in advance. 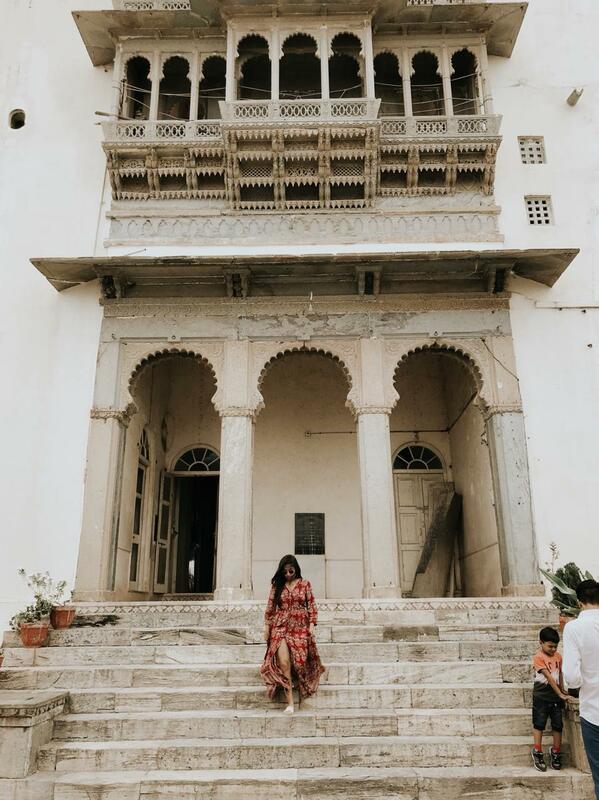 There is a whole lot to see in and around Udaipur. You can make a day trip to either KumbalGagh or ChittorGadh which are about a couple of hours away from the city of Udaipur. We on the other hand didn't pre plan our trip and so we decided to skip both the places for this trip. 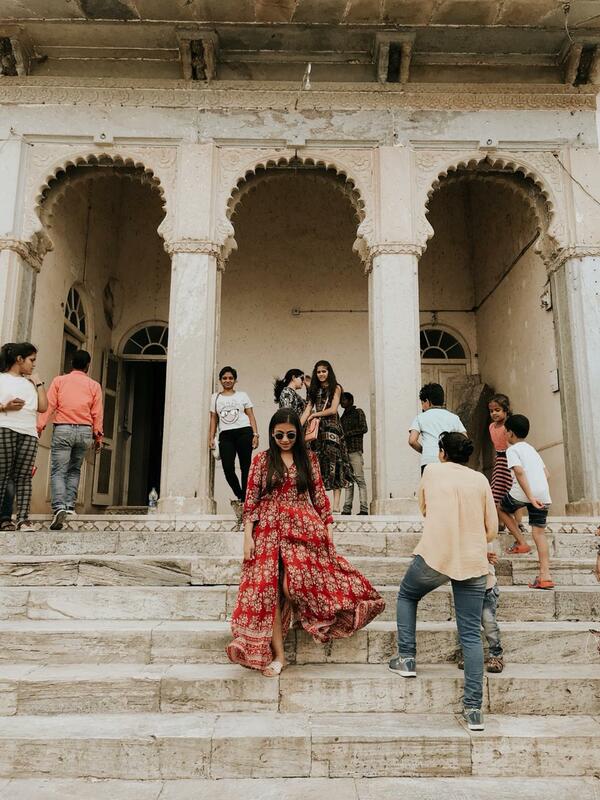 Saying that we did manage to see a lot in Udaipur. The things we saw were: Rajiv Gandhi Garden, Sahelion Ki Bari, Fateh Sagar Lake Front, City Palace, Jag Mandir, Monsoon Palace, and Lake Pichola. We were actually going to skip the Monsoon Palace but that was actually one of the best parts of the trip. *You definitely want to try and reach to all the places you're going to go a little bit earlier just to avoid all the tourists blocking the Instagram worthy shots. *Plan your day a bit in advance so that you don't end up feeling lost in the morning as we did twice while on the trip. *Try and inquire about the places from a couple of different sources. *Book your transport depending on your needs. If you don't need a car for the whole day don't book one. 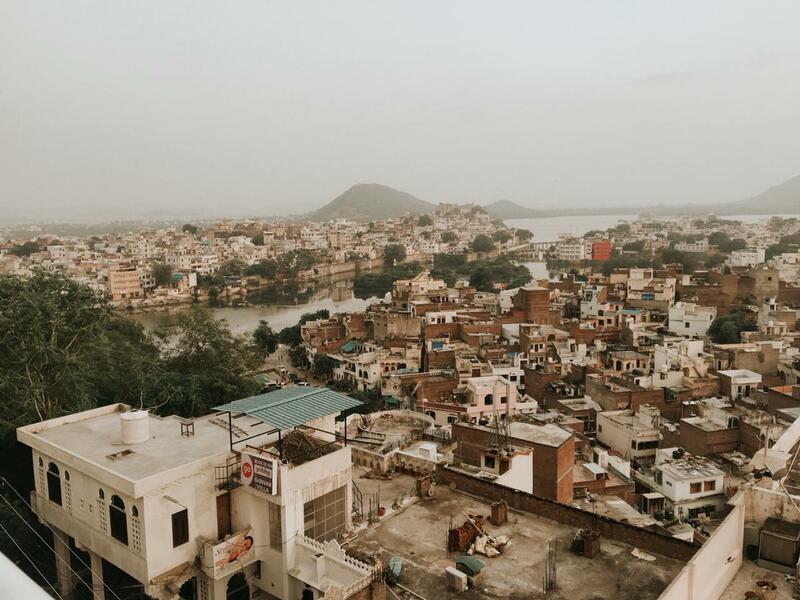 The easiest way to get around Udaipur is by either Ola or Uber. *Also if you're a blogger like me, have a very boho and earthy vibe to your outfits. It translates excellently with the medieval background in the photos. *If you are flying to any destination ever, try and check in online 24 hours before to get the best available seats.